The 9-day-old strike by around 32,000 BEST workers was called off Wednesday, bringing relief to lakhs of commuters in the metropolis. The BEST buses will start plying on roads again with immediate effect, Union leader Shashank Rao said. Rao's announcement came after the BEST workers' union earlier Wednesday agreed to call off the stir after accepting the '10-step' pay hike to be granted to them as an interim measure by the civic transport undertaking's management. The BEST workers were on strike since January 8 over their various demands, including pay hike, revision of pay scale of junior level employees and merger of BEST's budget with that of the Brihanmumbai Municipal Corporation (BMC). The state government had last week invoked the Maharashtra Essential Services Maintenance Act (MESMA) against the striking employees. But it did take any stringent action, besides sending them notices to vacate houses given by the undertaking. 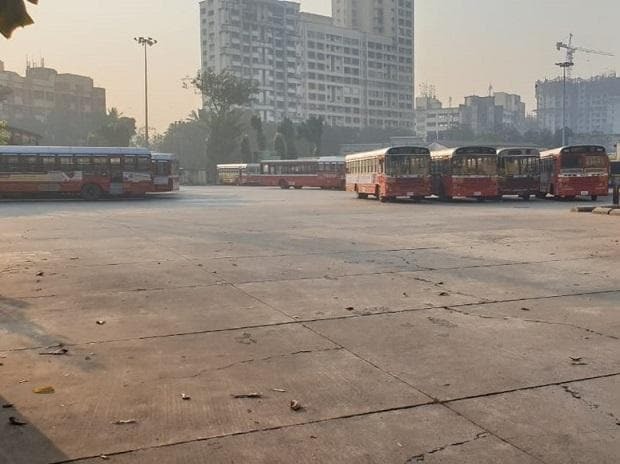 The BEST has a fleet of over 3,200 buses which criss-cross the metropolis and also operate services in the neighbouring Thane district and Navi Mumbai.